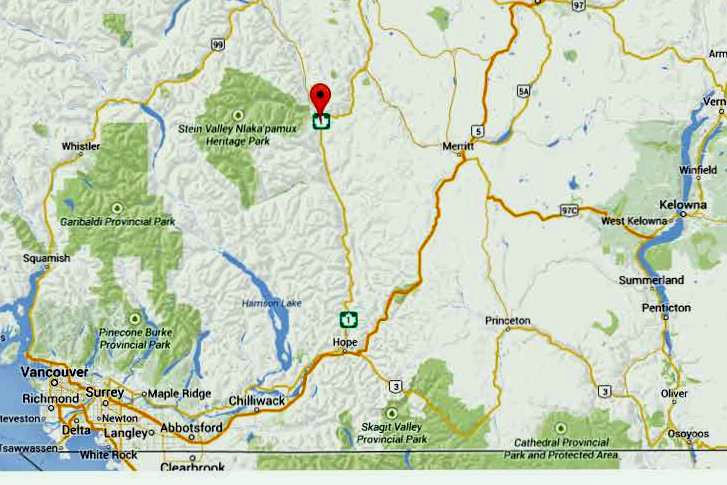 Travelling south from Lillooet, follow highway #12 to Lytton. Cross the Chief Spintlum Bridge over the Thompson River, then turn right at the first stop sign. You are now on Main Street. Travelling from either Hope or Cache Creek, follow Highway #1 and turn into Lytton which takes you onto Main Street (aka Highway #12). At the Village Office, turn one block down 4th Street. 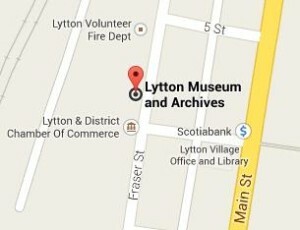 At the end of 4th Street is the Information Centre, and the Lytton Museum is the next building to the right!